Is stress a constant struggle? Can it really be deleted? No. You can delete the ill-effects of stress, but stress itself is a necessity. Stress, like money, is not inherently good or evil. It is all about what we do with it. I do not respond well to being over stressed. I'm talking strapped to a 50 lb. weight, can't swim, feel like you're drowning stress. My immediate response is to down play. It's not that bad. I will have time tomorrow. If I can't finish, it's not that important or not meant to be. Second, have a drink and discuss with my wife. Trust me. I know this is NOT a good response to stress. Drinking is not a good response to any problem. Delete the drink and just discussing the stress with Meg would be a great response. Talking it out with someone is a terrific step to stress. I just finished John Ratey's book Spark: The Revolutionary New Science of Exercise and the Brain . Chapter 3 was all about stress. He elaborates, in depth, about how stress affects the mind, the body, and how we can control and improve our response to stress. Ratey writes about activities in our lives that create stress and those that delete stress. 3 steps for deleting stress from your life. 1. Shutdown the screen. Ratey states the constant stream of digital in our lives actually keeps us at a higher stress level. We turn to T.V. to decompress. The fact is screen time perpetuates our stress. Constant stimuli keeps the stress-center of the brain, the amygdala, on high alert. The combination of being sedentary and stimulated makes us more stressed. What can we do? Turn off the T.V., shutdown the screen, stop scanning the iProducts and engage in activities. 2. Opt-in to exercise. This tip is the butter on the bread. I had NO idea exercise made this much difference. Ratey says, "regular aerobic activity calms the body, so that it can handle more stress." Exercise strengthens the structure of the brain and delays the point at which we react physically to a stress. We naturally shy away from stress. Ratey writes that the purpose of the "fight or flight" response is designed to mobilize us to act. Exercise is that action. To overcome stress we must stress ourselves. Exercise is a positive stress that dramatically improves our ability to cope with future stress. Don't let stress shutdown your life anymore. 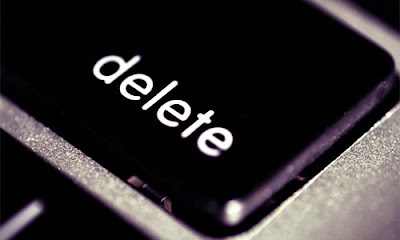 Delete its ill-effects from your life by practicing these 3 simple steps: Shutdown the screen. Opt-in to exercise. Power up the positive proxy. What positive proxy to stress are you going to add to your life? Share your great idea with others by leaving a comment. Ratey's book Spark had SO much evidence for why we need exercise in our lives. Everything from stress to improving our learning capabilities, defeating depression, anxiety, and even ADD/ADHD. 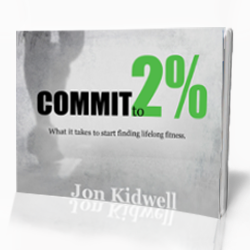 This book is one of the reasons I preach exercise as step numero uno for losing weight and finding fit in your life. If you want this book click the picture to buy it on Amazon.